Today I am happy to be sharing my version of the Tulip top (and dress) - a beautiful new pattern released by two talented Belgian ladies! Eva from With love by Eva and Katrien by Kaatjenaaisels, released this pattern collaboratively about a month ago in Dutch. This week, it is now available in English! They were kind in asking me to join in their blog tour. I have had the fabric I used for the skirt in my stash for a couple of months and just love it. It is this beautiful Japanese lawn I purchased from Miss Matatabi. I love this fabric! It is also available in a blue colour way. The bodice is made from a blue linen I bought at Spotlight. 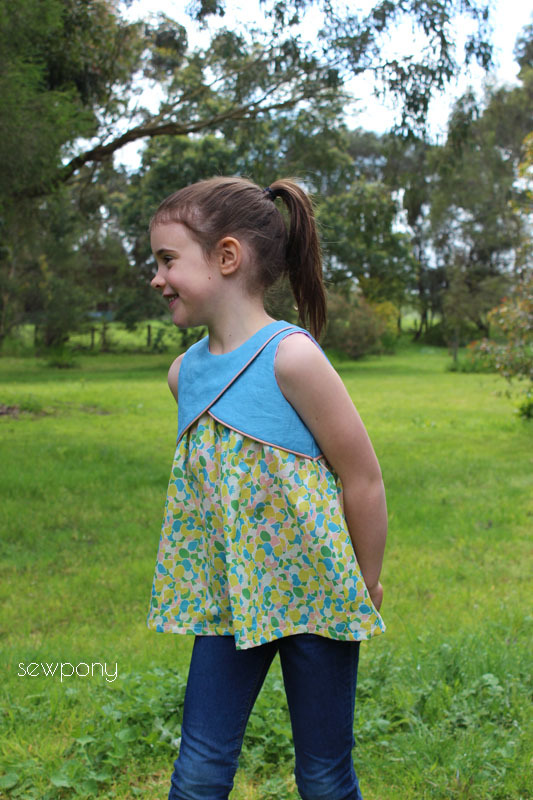 This top is already a winner with Juliette and it was a nice change to making a dress. 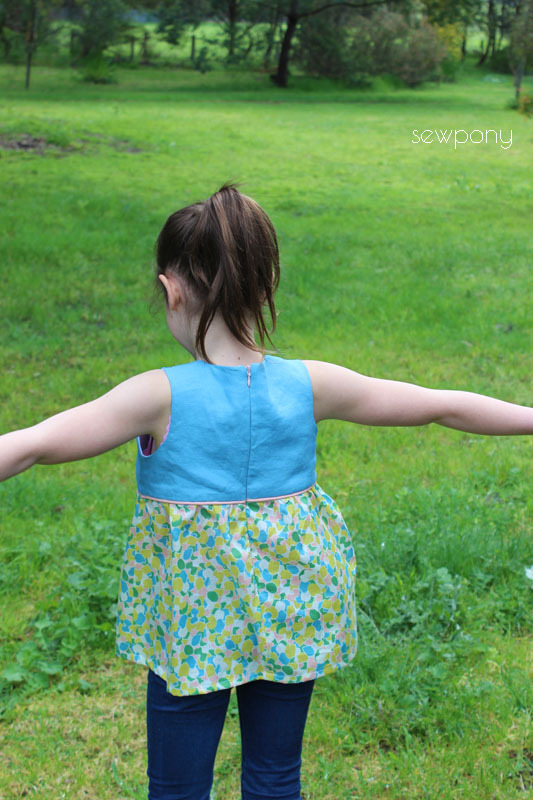 That said, you can also make a Tulip dress - the pattern comes in two lengths. The bodice construction is clever and allows the tulip petals to float above the gathered skirt/top. The instructions are very clear and professional and take you through every step to achieve a great result. I loved the little addition of a zip end - something I have not sewn before and will now be incorporating into my dresses! (sorry no photo of this - but a little square of the fabric covers the zip end for a nice detail and to prevent any annoyance from the wearer of the zip end). 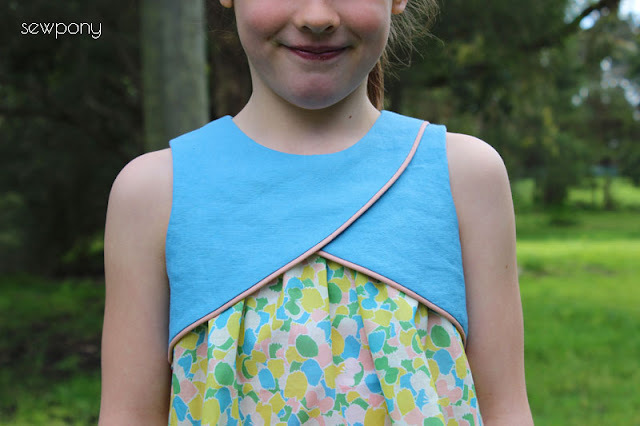 I continued the piping across the bodice back, although the pattern does not call for it - I thought it would be nice. You can receive a 10% discount with the code: HAPPYTULIP (Valid until October 8th). Just put his code in at checkout. Make sure you check out these lovely blogs for more Tulip inspiration! Thank you Eva and Katrien for inviting me! 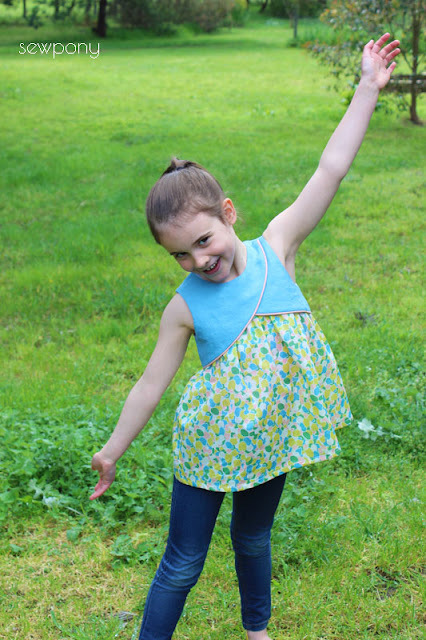 Isabella has already put in her order for her Tulip top! Oh Suz! I love the combination of the wide top with a skinny jeans! Until now I had only seen Tulip tops combined with shorts but this is even better. The skirt fabric is beautifl and so are the piping and the bodice color. I love everything about this! Thank you so much for participating! Thanks Eva! Glad you like it!! Love your version Suz. Piping across the back certainly looks great! This is such a gorgeous tulip top!! What a great fabric and the piping is beautiful! 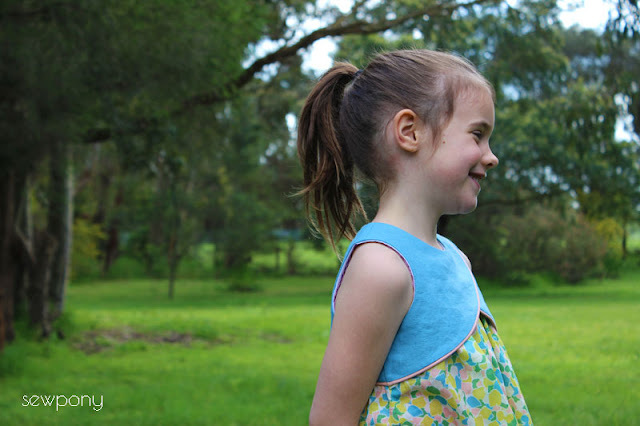 I recently made 2 tulip dresses and loved the pattern so much! And it is so funny you're mentioning the zipper end, since that was new to me too and I also found it genius! Adding piping to the back too was genius!! I wish I had thought of that! Love the colors! Adorable top! It looks great with jeans. Love the piping, too!